Starting from an appropriately configured XFCE desktop manager it offers stability and the speed, that only a few other DMs can offer, reaching in extreme tweaking of services, configurations, boot parameters and the entire infrastructure. BackBox has been designed with the aim of achieving the maximum performance and minimum consumption of resources. 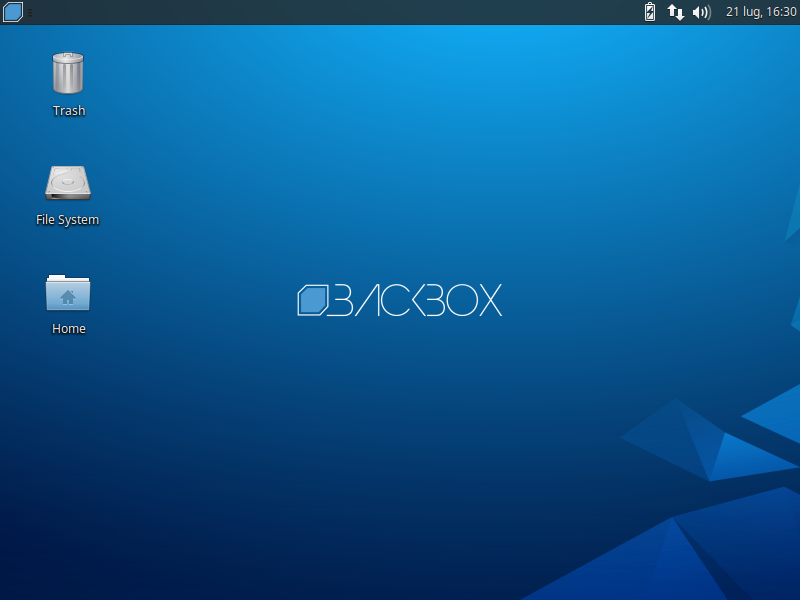 This makes BackBox a very fast distro and suitable even for old hardware configurations. 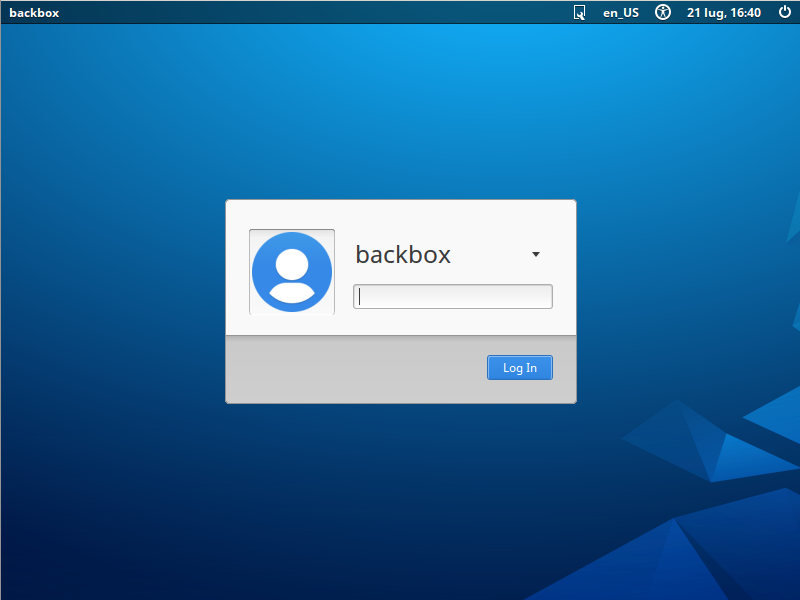 The main menu of BackBox has been well organized and designed to avoid any chaos/mess finding tools that we are looking for. The selection of every single tool has been done with accuracy in order to avoid any redundancies and the tools that have similar functionalities. With particular attention to the end user every needs, all menu and configuration files are have been organized and reduced to a minimum essential, necessary to provide an intuitive, friendly and easy usage of Linux distributiont. The software packaging process, the configuration and the tweaking of the system follows up the Ubuntu/Debian standard guide lines. If you’d like to make any change/modification, in order to suite to your purposes, or maybe add additional tools that is not present in the repositories, nothing could be easier in doing that with BackBox. Create your own Launchpad PPA, send your package to dev team and contribute actively to the evolution of BackBox Linux. 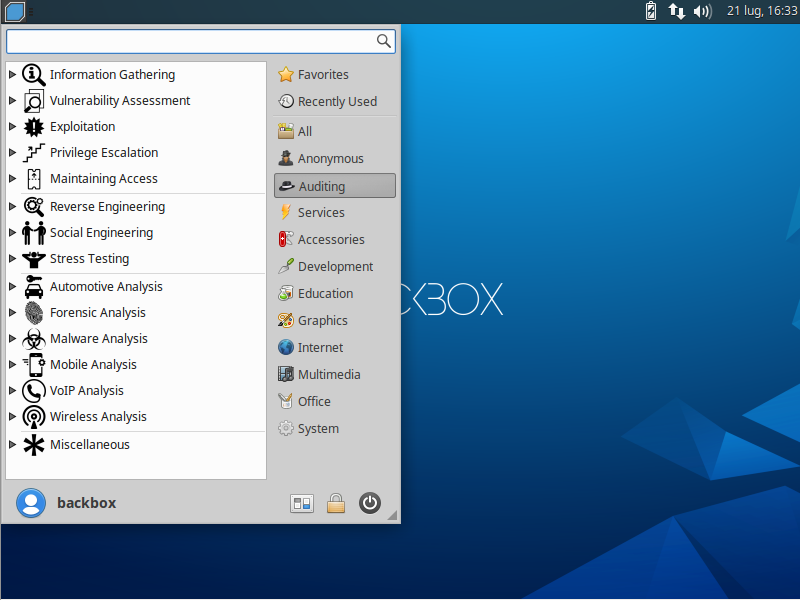 BackBox Linux is made collaboratively by a few people and additionally has a medium size of community with supporters. It has many access points where and each single member of team focused on a specific task. Therefore, the team members are involved in other tasks as well dynamically.